Cranberry Sauce With Pineapples and Walnuts | Cooking With Mr. C.
1. Rinse and drain cranberries. 2. 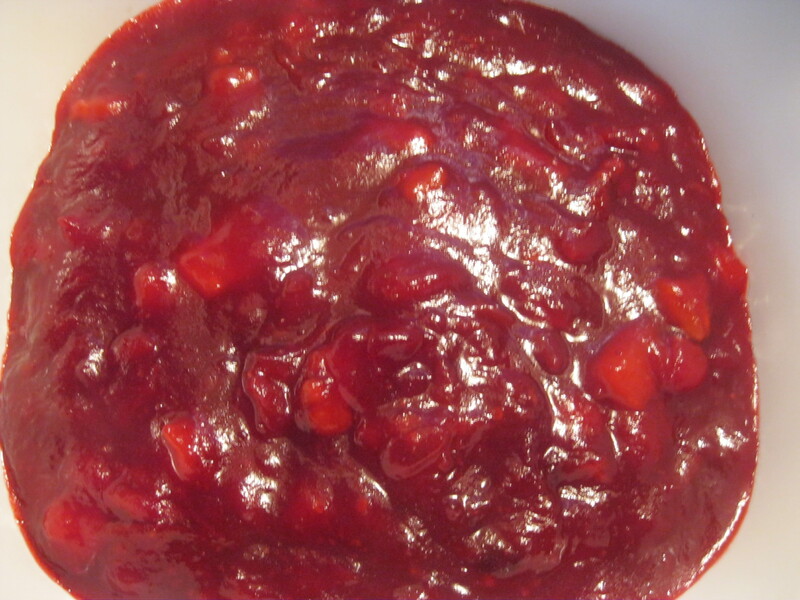 In a large pot, put cranberries, water and sugar. Stir well and cook over a medium heat. When cranberries start to pop, add pineapple and walnuts. Bring to a boil and let simmer for 8-10 minutes. Stir frequently. *If it’s to tart, add a little more sugar. 3. Let cool and refrigerate. Serves about 4 people. So double the recipe to fit your needs. Thanks for all the recipes this season. Kelly T.
Loved the recipe! What about a recipe for Thanksgivukkah?